How Do You View Life Insurance? Is It an Asset? One of the basics of financial planing is to understand the difference between assets and liabilities. When you start looking at where you spend your money, it’s usually pretty easy to decide whether something should be considered an asset or a liability. Life insurance, though, isn’t always so easy to classify. 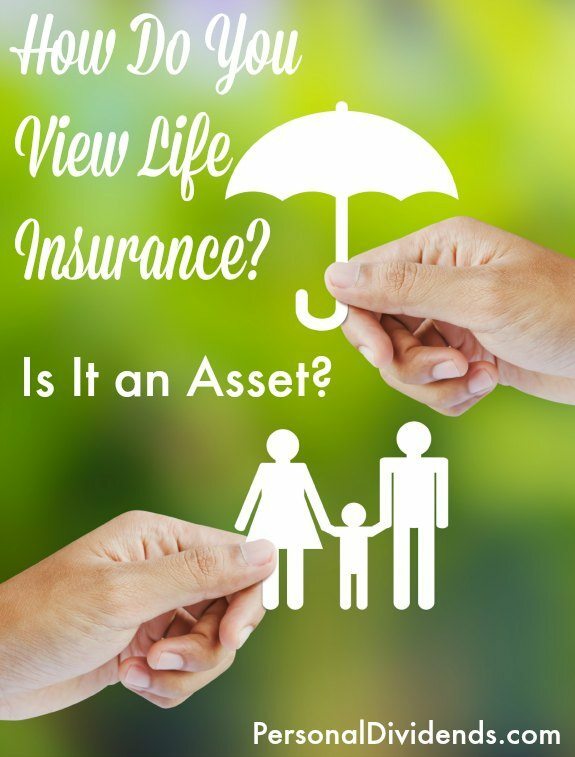 Because you aren’t likely to benefit from life insurance, it’s hard to see it as an asset. However, it is something that could be considered an important part of your family’s finances. But there are already many families that view life insurance as an asset. According to a recent survey released by State Farm, 50 percent of Americans feel that life insurance is an asset, while 33 percent feel that it’s just another expense. What’s Your Life Insurance Mindset? Figuring out your life insurance mindset is an important part of deciding whether you view your life insurance policy as an asset, or as just another expense. When money’s tight, it’s hard to justify paying the life insurance premium. After all, it seems like you are just throwing money down a hole. However, when you take a step back and look at the purpose of life insurance, your perception might change. First of all, think about life insurance in terms of protecting your family’s finances. You need to stop viewing it as just one more bill you pay each month. Instead, you need to view it as an asset that can provide for your family if you die unexpectedly. Many people don’t like the idea of life insurance because they won’t actually benefit. These same people, though, might worry about what would happen to their families if they were gone. This is where life insurance comes in. If you have a life insurance policy, you don’t have to worry about what happens to your family’s finances when you’re gone. Remember: Life insurance isn’t for your benefit. It’s for your family’s benefit. The idea is to replace your income if you die. That way, your family has the resources necessary to comfortably live without your income. From that standpoint, life insurance is an asset because it provides something of value to your family. In many cases, your family’s payout has the potential to exceed the premiums you put in. Sit down and figure out how much money it would take to secure your family’s finances if you were to die tomorrow. Figure out whether or not you have enough life insurance, and then purchase more if you need it for your family’s future. Too often, we look at these long-term benefits to our families and don’t realize that they really are benefits. We, like 33 percent of the population, just see these benefits as expenses. While some types of insurance definitely are little more than expenses, life insurance is practically an essential. If you want the peace of mind that comes with knowing that you are protecting your family, and providing for their financial well being no matter what happens to you, life insurance is, in deed, an asset worth purchasing. Disclosure: This blog post was written as part of a sponsored program for State Farm to raise awareness about the importance of life insurance. All views expressed are entirely my own, and were not influenced or directed by State Farm. You can learn more about this blogger program and life insurance at GoodNeighbors.com, PlantingMoneySeeds.com, and by following #startliving on Twitter.